Jack Skellington is here to keep watch over your keys! Cross his heart and hope to die. Just kidding - he's already dead. How convenient! 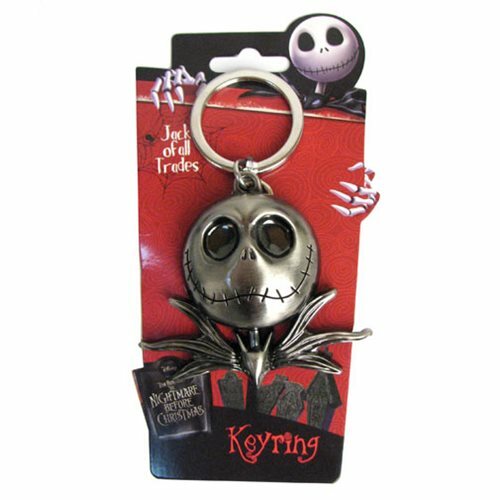 This key chain features the Pumpkin King of Halloweentown as a pewter key chain. It's perfect for fans of Disney and Tim Burton's The Nightmare Before Christmas! Key chain measures approximately 2-inches long by 2 1/2-inches wide. Ages 13 and up.